A sample of our current and past investments. The Strategic Hotels 7-Pack is a portfolio of 7 luxury hotels including the Ritz-Carlton Laguna Niguel, Fairmont Scottsdale Princess, and Four Seasons Jackson Hole. In February 2016, Ohana acquired a participation in a performing mezzanine loan through a syndicated process. The mezzanine loan was part of a $1.4 billion total debt stack encumbering the portfolio. Montage Deer Valley opened in December 2010 as the first ski resort operating under the Montage brand. The 980,000 square foot resort includes 154 guestrooms, 81 residences, ski-in & ski-out access, the largest spa in Utah, five dining options, and a host of other amenities. Montage Deer Valley was the first LEED-certified resort in Utah. Ohana assumed oversight responsibility in 2009. Bacara Resort & Spa is located near Santa Barbara, California overlooking the Pacific Ocean. The 354-room resort features award-winning accommodations and amenities, including a 42,000 square foot spa, oceanfront zero-edge swimming pools, and a seasonal kids’ club. Ohana acquired the property in 2011 and led a 19-month redevelopment and operational turnaround, ultimately selling the resort in 2013. The Twin Dolphin master-planned community is located on the Golden Corridor between San Jose del Cabo and Cabo San Lucas. The property spans 1,400 acres and encompasses two of only a few swimmable beaches in Los Cabos. As the site of the former Hotel Twin Dolphin, one of the first luxury hotels in Los Cabos, the name of the community pays homage to the iconic resort. Today, the property is anchored by Maravilla Los Cabos, a private residential community and club on Las Viudas Beach, as well as Montage Los Cabos, a five-star resort and residences on the shores of Santa Maria Bay. The property features a Fred Couples Signature Golf Course and the Twin Dolphin Golf Club. Plans for the community also include retail shops, restaurants, and additional residential homes. Ohana assumed oversight responsibility in 2009. Las Alcobas is a 68-room luxury boutique resort located in St. Helena in Napa Valley, California. The recently built hotel held its grand opening in June 2017. Ohana originated a mezzanine loan on the newly opened resort in July 2017 as part of a refinancing package used by the sponsor to pay off its construction loan. San Vicente Bungalows is a private membership club and luxury boutique hotel located in the heart of West Hollywood Los Angeles. Ohana participated in a recapitalization of the property in 2018 in connection with the property’s grand opening. Montage Laguna Beach opened in 2003 as the first hotel operating under the Montage brand. The oceanfront property consists of 250 hotel rooms, 14 single-family homes, and 14 villas. The hotel includes 22,000 square feet of indoor and outdoor meeting space, three food and beverage outlets, two outdoor pools, and a 20,000 square foot spa and fitness center. Ohana assumed oversight responsibility in 2009 and led the sale of the resort in 2015. 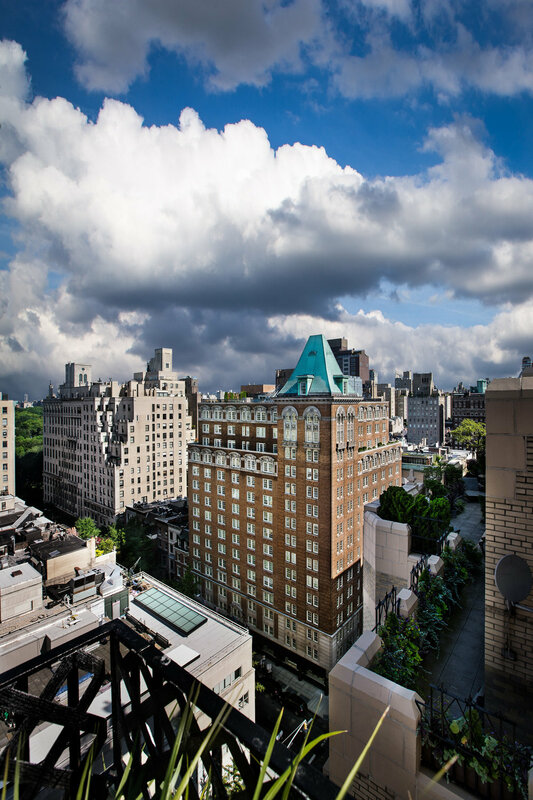 The Mark hotel is a 147-room luxury hotel located at 77th Street and Madison Avenue on the Upper East Side of Manhattan. The property also includes furnished residences and prime ground floor retail space. Ohana acquired a performing mezzanine loan from a bank in 2018. The mezzanine loan was part of a $265 million total debt stack encumbering the hotel.